Quick overview Stevenson's short novel, published in 1886, became an instant classic. It was a Gothic horror originating in a feverish nightmare, that has thrilled readers ever since. Also included in this edition are a number of short stories and essays of the 1880s and extracts from writings on personality disorder that set the works in their historical context. 'Instantly the spirit of hell awoke in me and raged...I was suddenly struck through the heart by a cold thrill of terror.' Stevenson's short novel, published in 1886, became an instant classic. It was a Gothic horror that originated in a feverish nightmare, whose hallucinatory setting in the murky back streets of London gripped a nation mesmerized by crime and violence. The respectable doctor's mysterious relationship with his disreputable associate is finally revealed in one of the most original and thrilling endings in English literature. 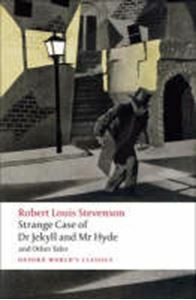 In addition to Jekyll and Hyde, this edition also includes a number of short stories and essays written by Stevenson in the 1880s, minor masterpieces of fiction and comment: 'The Body Snatcher', 'Markheim', and 'Olalla' feature grave-robbing, a sinister double, and degeneracy, while 'A Chapter on Dreams' and 'A Gossip on Romance' discuss artistic creation and the 'romance' form. Appendixes provide extracts from contemporary writings on personality disorder, which set Stevenson's tale in its full historical context.